You know what I love? A Beauty Box. 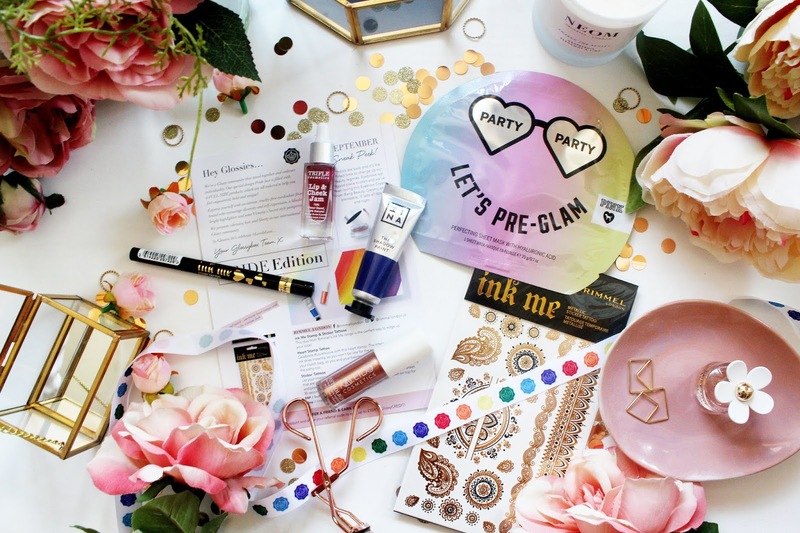 I love how there are subscription services out there where you can get your beauty fix from as little as £10 a month and you can discover SO MANY new products from brands which probably wouldn’t normally catch your eye. 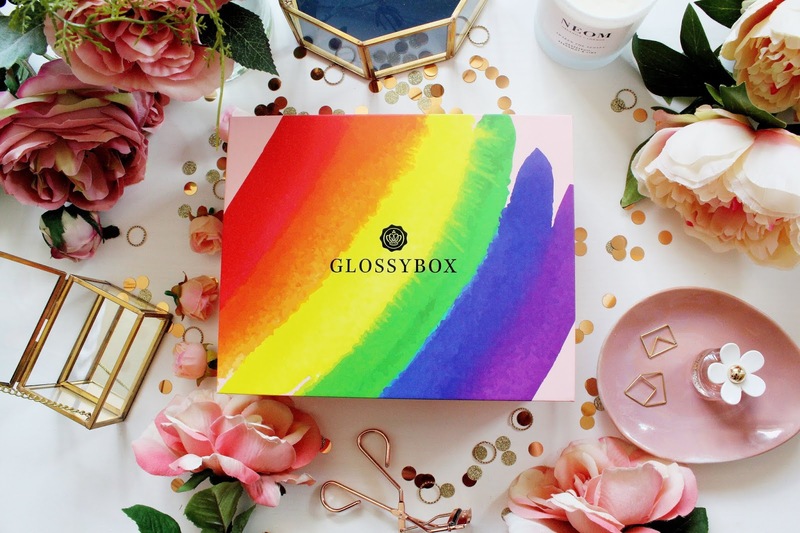 One of those subscription services I love is Glossybox and with Glossybox I am constantly surprised by the new designs, special editions but also the product variety in every box. Okay so the award for the worlds longest named face mask definitely goes this with one! 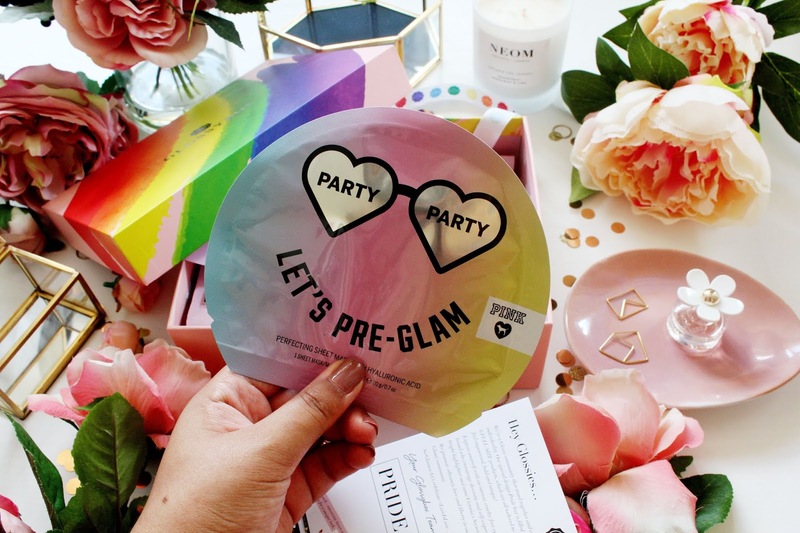 However, I was super excited to see a sheet mask in this months box as they are my favourite skincare products to use especially when they contain hyaluronic acid as this mask will leave your skin feeling SUPER hydrated. 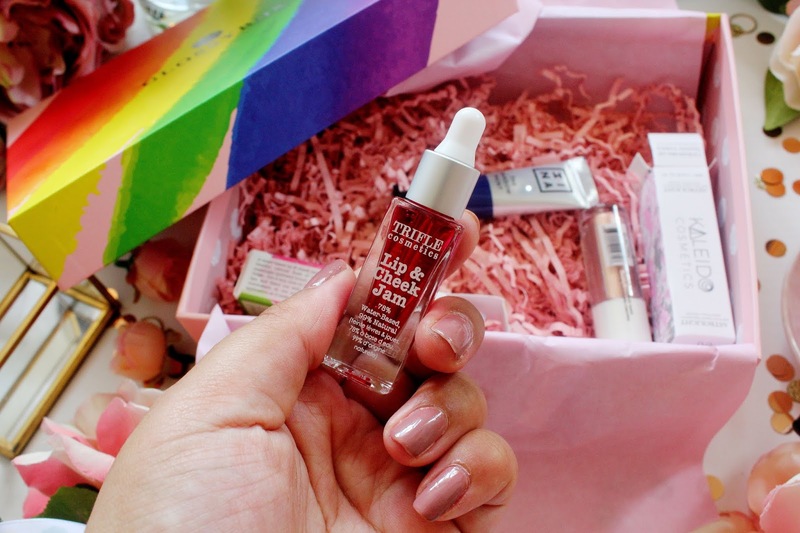 On the odd occasion you’ll see a repeat product in a beauty box and this is something that has (unfortunately) crept up again. This product (originally) I found tricky to use as I wasn’t a fan of the formula so this will be going to a better home as I won’t need two of them! 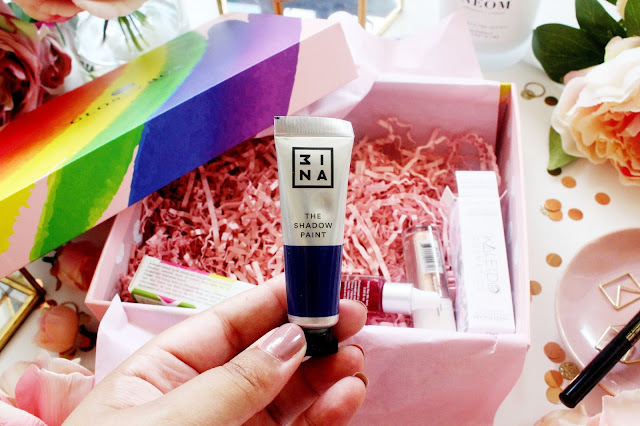 So this product is something I’ve never come across before and it’s from a brand I’ve never used before, 3ina! I already knew this product would be in this months box as it was a sneak preview on the info card last month. This colour choice isn’t one I’d normally go for but I’ll definitely be trialling this out if I have any fancy dress/festivals to go to and need to go for an over the top make-up look! I’ve never heard of this brand before and so I was excited to discover another new brand in this month’s edition. This highlighter was a pleasant surprise as I think the colour is stunning! This is highlighter has a very creamy formula and it’s perfect for mixing in with your foundation for that all over dewy glow. 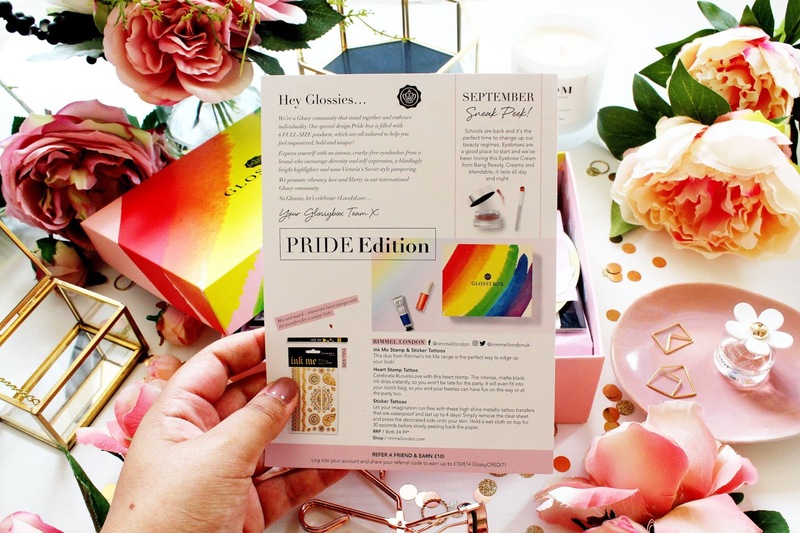 And finally… there are two products from Rimmel London in this months box which are perfect for if you’re going to festivals, boat parties, holiday in Ibiza or of course pride! 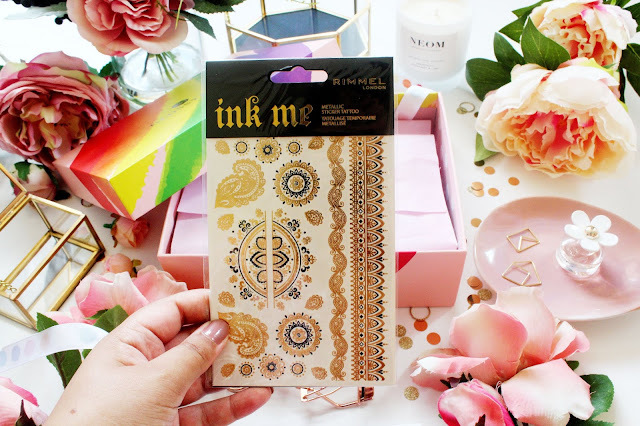 The products are Ink Me Stamp & Sticker tattoos (both RRP £4.99) this isn’t really my cup of tea as I’m not going anywhere/or doing anything which will involve getting experimental with my make-up but I am sure these products will come in handy at some point! So overall, if you’re off to a festival, partying holiday, pride or of course a fancy dress party this is a great edition if you’re feeling experimental but for us average Joes (like myself) as much as I like this edition, I definitely prefer the products from last months box. 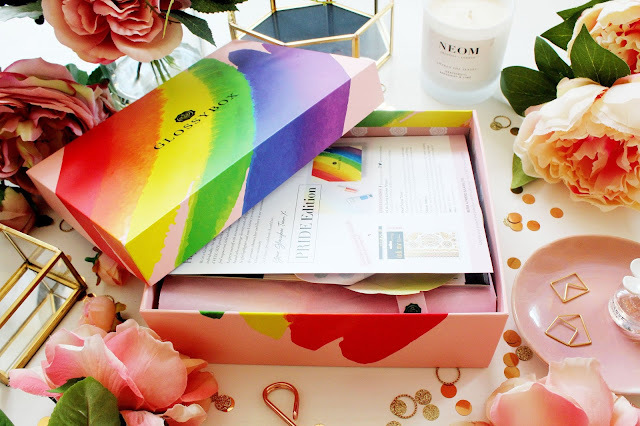 Do you fancy a FREE GLOSSYBOX? 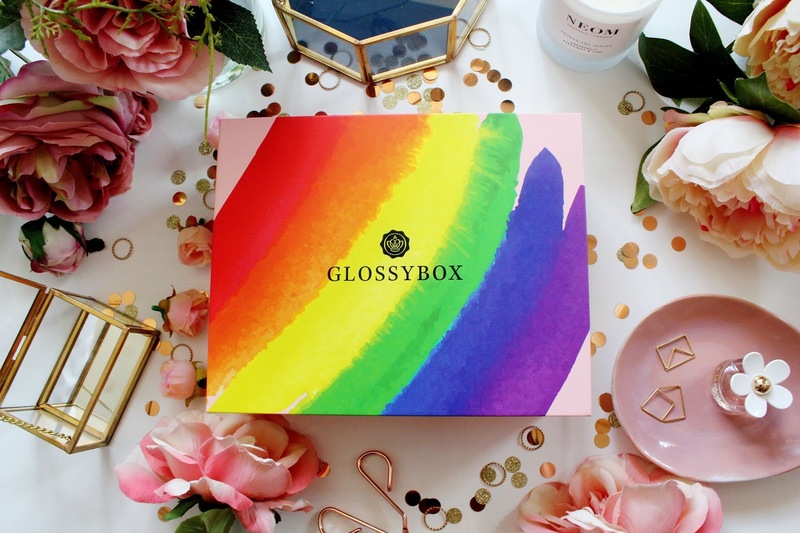 I mean who wouldn’t all you have to do is click this link and purchase this Glossybox and within 14 days you’ll receive 100% cashback! Amazing right?! 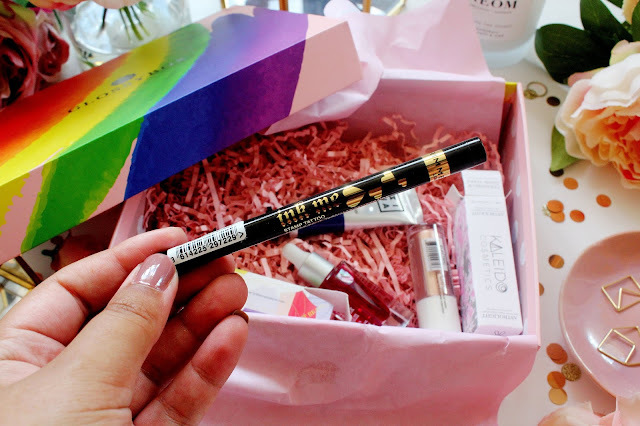 Ahh I just love Glossybox! On wow it's so beautiful! the packaging of this box is so fun!